On this page I will document the period in which C.C. 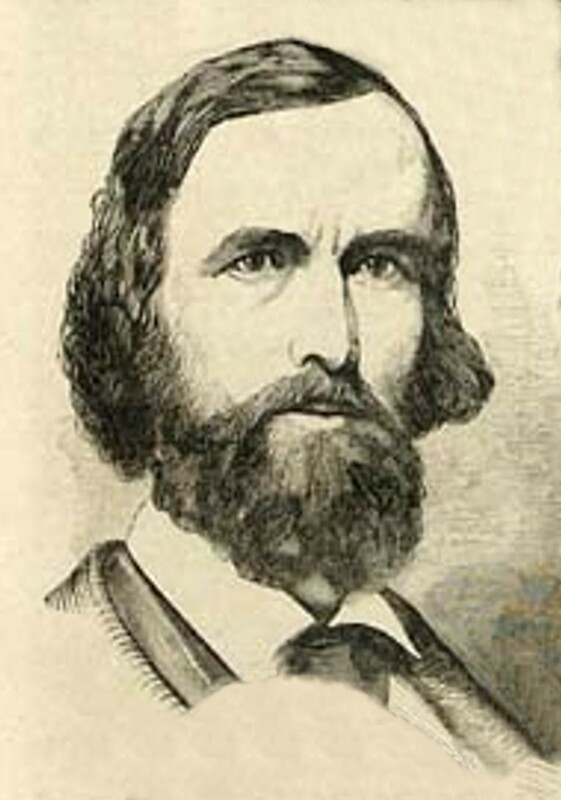 Clay was Senator of Alabama and Diplomatic Agent for the Confederacy. Clement Clairborne Clay, Alabama's favorite son and Senator, is already known to the readers of Harper's Weekly, in which his biography has appeared. The son of that noble-hearted Virginian, Governor Clay, who filled nearly every office in his adopted State of Alabama, and the husband of one of the most accomplished daughters of the sunny South, Senator Clay is a Representative man of that fertile land which the wandering red-men called "Alabama" or "Here we rest". A graduate of the University of Alabama, and the Law-school of the University of Virginia; the successful editor of the Flag of the Union newspaper; noted as an able lawyer and as a vigilant District-Attorney; an active member of the Alabama Legislature for several years; and an able judge of the circuit-court-he was well qualified in 1853, to occupy the Senatorial seat which is father had adorned. Since then, his course has been unwavering in bringing about the independent position of Alabama now just taken; yet he has ever enjoyed the personal respect and esteem of his associates, even of those who have regarded him as their uncompromising political foe, as he has stood before them the champion of his constituents. "Identified as I am," said he, "with Alabama by my birth, education, interest, and affection-regarding her as 'my nursing mother and my grave'-indebted to her for the highest honors and greatest trusts she could bestow, and standing here as one of her ambassadors in this Council Chamber of sovereign States, I feel it my duty, as well as privilege, to justify or excuse, as far as I can, all her acts relating to her sister States or to the Federal Government. "...If she yields to Republican control, "she will deserve to suffer all the wrong and all the shame you can and will accumulate upon her head. But as honor, interest, self-preservation-all that is dear to freemen-all urge her to maintain her individuality and equality as sovereign States, either within or without the Union, I trust she will give you full demonstration of her courage and self-reliance, by refusing any the least concession to your demands, and by resenting your menaces and repelling your attempts at coercion in such manner as will prove that the spirit of the fathers, who, at Yorktown and at New Orleans, consummated in triumph our two wars of independence, yet lives in her sons."